Well known for its later gunpowder industry and the famous Shepherd Neame brewery, Faversham’s earlier medieval history also reveals it to have been an important religious and administrative centre. The town archives possess an unusually complete set of medieval-onwards town charters and other documents including a Magna Carta. Using archaeological and historical evidence set in an ever-changing physical and social context, the authors argue that there is a great deal more to this small town on the north Kent coast than is obvious at first glance. There is a wealth of evidence for prehistoric settlement with the Late Bronze Age and Early Iron Age being particularly well represented archaeologically and Roman remains indicate a very prosperous phase up to around the AD 270s, followed by drastic changes. Abundant evidence for ironworking is described. The book charts the rise of the town from Pagan Jutish origins through the medieval period, centred originally around the establishment of an Abbey and other religious houses but developing as a trading port and wealthy market town. Supporting evidence is drawn from a variety of archaeological sources (Victorian antiquarians, modern excavations, various voluntary and community archaeology groups) and historical documents. 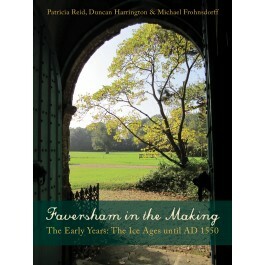 The authors present the story of Faversham in a vivid and accessible narrative that reveals a new history of this ancient Kentish market town.